This photo was taken from just across N.C. Highway 12 looking toward Berkley Manor, one of the buildings Sam Jones had constructed on the island. 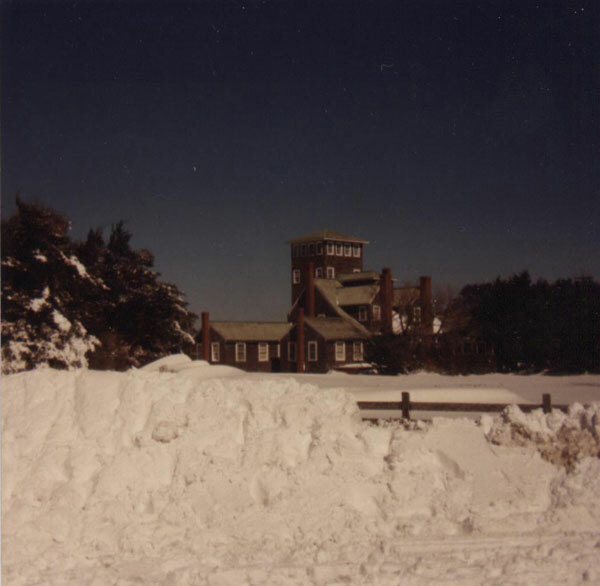 This snowstorm dumped nearly two feet of snow on Ocracoke during a massive blizzard that affected the east coast. Even if Ocracoke had a salt truck it would not have been necessary, the snow only lasted a few days. The most snow Ocracoke has received in a single event since this storm was about seven inches. See if you can find out from the locals when this blizzard took place. I can't wait. When was this blizzard?